What determines the success of a business? Will a business be successful if it markets itself more effectively than its competitors? Or is it better to have the lowest prices in town? Advertising strategies and price points are significant, sure. But those aren’t the most important factors when it comes to attracting new customers and ensuring that your new customers stay your customers for a long time. No, the most important thing is customer satisfaction. 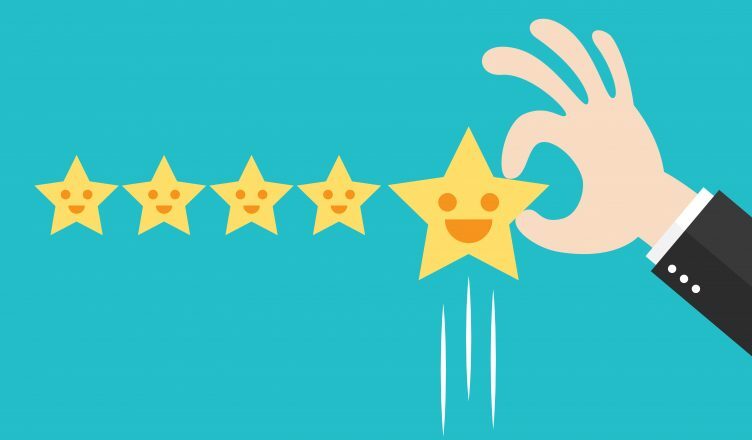 When your customers are satisfied, they’ll recommend your service to their friends and family. That kind of organic word-of-mouth marketing is much more effective than print, radio, and television ads. The question, of course, is how do you keep your customers satisfied? What do you need to do to make this happen? The answer is GPS tracking software. When workers are unsupervised, they tend to slack off a bit. Anyone who’s ever worked in an office has surely experienced this before: the boss goes on vacation, and then everyone kicks back, relaxes, and takes their time on assignments. This is a huge problem for courier companies, sales managers, and other businesses that send their employees out into the field. Such employees are almost always unsupervised. They’ll often take their time while getting places. When they’re on the clock, they might stop for a bite to eat even though they’re not scheduled for a break, or they might even stop at a friend’s house and hang out for a while. You don’t want to pay your employees to hang out with their friends, right? GPS tracking software allows you to make sure that your off-campus employees are doing what you’re paying them to do. It shows you what everyone in your fleet is doing in real-time. You’ll know whether they’re sticking to schedule or not. GPS tracking software helps you manage your fleet in other ways, too. For example, it’ll show you if there’s some obstacle holding up your drivers on a certain route. From there, you can figure out what the obstacle is and find some way around it. Also, the software shows how fast your drivers were going in addition to where they went, so you’ll be able to see if any of your drivers were speeding. If you see that happening, you’ll want to tell them to cut it out. Speeding is a waste of gas, and it puts your drivers at greater risk of getting into an accident. Customers like being able to see where their package is while they wait for it to arrive – especially if they’re waiting for some particularly valuable cargo, like gold bullion or a beloved family pet. GPS tracking software lets them see exactly where their package is at every stage of the delivery process. GPS tracking software will also make your ETAs more reliable. Even though final mile delivery software guarantees that the routes you give your drivers are the most efficient routes possible, sometimes an obstacle will slow your drivers down anyway. Your driver might get into an accident, for example. Delayed deliveries obviously aren’t ideal, but when something does get delayed, you should tell your customers about it as soon as possible. They’ll appreciate the notice. With the power of GPS tracking software, Route4Me is able to automatically update ETAs to reflect your drivers’ whereabouts. So, no matter what happens, the ETAs you give your customers will always remain accurate. Imagine this scenario: your driver is on their way over to a customer, but their vehicle breaks down before they can get there. The best thing to do in this situation is send over the closest driver to pick up the package from the broken-down vehicle and take it to the customer, while the original driver waits for assistance. That way, you still might be able to make the delivery on time. Without GPS tracking software, there’s no way to know which driver is closest. But when you do have such software, that information is right in front of you. When the unexpected happens, the software makes it easy to adapt. 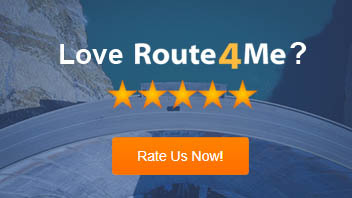 Route optimization software makes your routes more efficient. But routing optimization software won’t do you any good if your drivers don’t actually follow the routes that the software generates. With GPS tracking software, you can make sure your drivers are doing what you want them to do. Route scheduling software coupled with GPS tracking will save your drivers a lot of gas and a lot of time. So you’ll save a lot of money. You can pass these savings on to the customer by offering lower prices. Your customers will love that – and your competitors will hate it. Do you have any questions about GPS tracking software? Let us know in the comments section below.